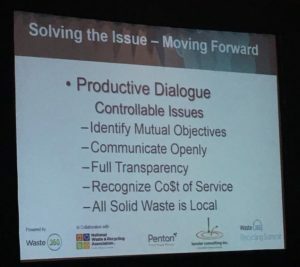 Mitch Kessler presented at the NWRA Waste360 conference in Austin, speaking on Municipal Contracts Best Practices, which explored the direction of MRF contracting and steps to ensure a win-win result. Shane Barrett presented at this years’ Association for the Advancement of Sustainability in Higher Education (AASHE) conference helping attendees realize the importance & impact of Waste Composition Studies on campus waste reduction goals. 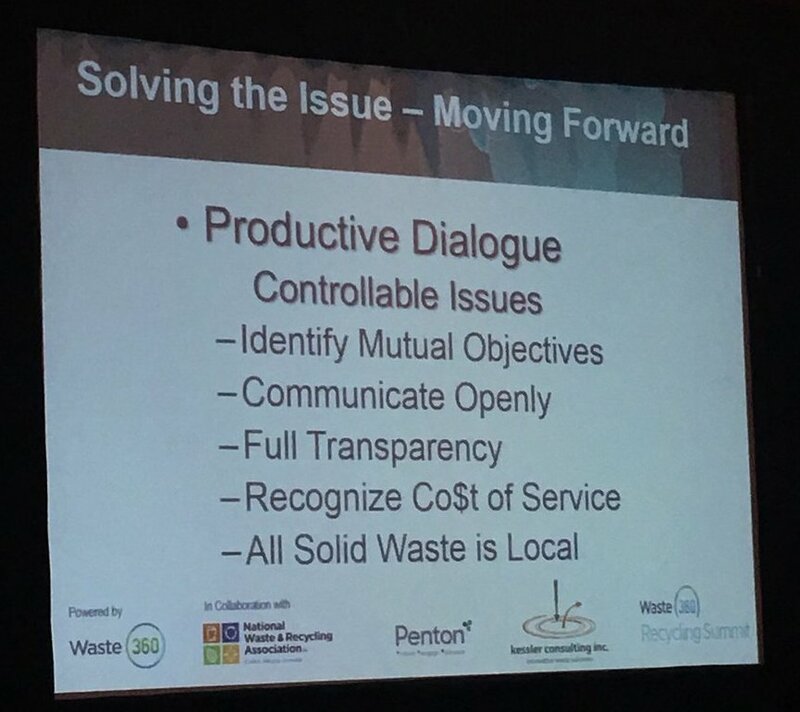 Peter Engel presented at the Paper and Plastics Recycling Conference discussing his recent White Paper Demystifying MSW Recovery Rates, prepared in association with Bill Moore (Moore & Associates). Ryan Graunke participated in the Great American Teach In at Robles Elementary School in Tampa. He spoke to 5th graders about what’s in their garbage, where does it go, and what are better alternatives to throwing it away, with an emphasis on food waste. Among those in the class was a group of students that will be conducting an audit of their cafeteria’s waste. It is always encouraging to get to meet the next generation of recyclers and composters.